Daniel Reed has been a Real Estate Broker with Wenzel Select Properties since 2009. He also has been in the golf industry since the 1990’s, receiving a golf scholarship to Purdue University right out of High School. 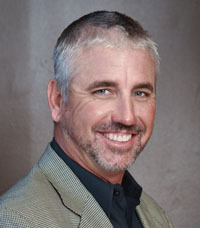 He graduated from Purdue with a Bachelor of Arts degree and began working as a caddie in the Golf Industry. He currently works at the Indian Oaks Golf Course in Shabbona and moonlights as a Real Estate Broker.